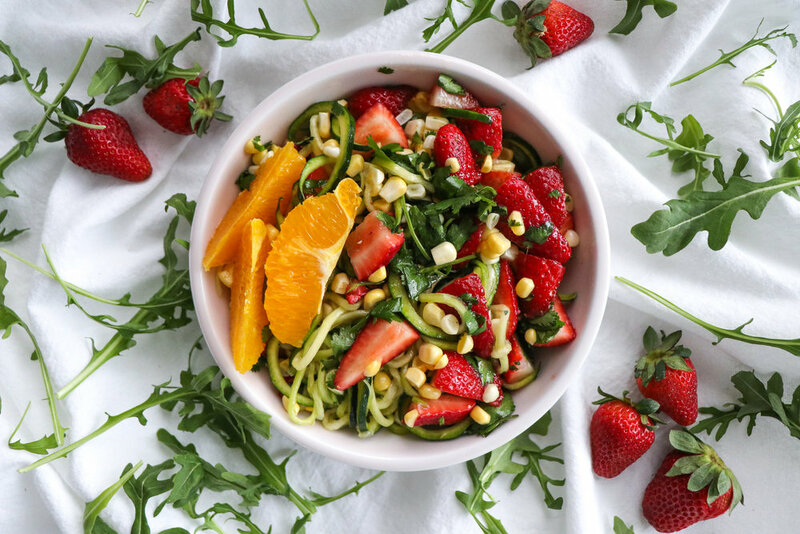 My summer garden bowl is a really simple, fresh zucchini noodle salad with fresh summer strawberries, corn, and cilantro. I garnished mine with a few orange segments, but it would also pair well with sliced boiled egg or avocado. Toss all the ingredients together in a mixing bowl, ensuring everything is well coated with lemon, olive oil, and salt.